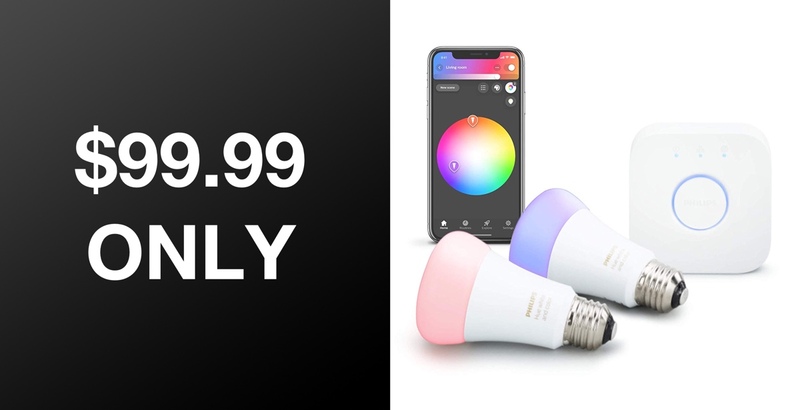 If you are looking to start your journey into the world of intelligent lighting and home automation, then this $99.99 Philips Hue Starter Kit could be the perfect deal for you. It offers everything that you need to get up and running and we guarantee that you will not look back. This particular deal is the Philips Hue Premium Smart Light Starter Pack which offers you immediate access to 2 color-capable smart bulbs. The pack also includes the necessary Philips Hue Bridge to connect to your home router and give the intelligence that the bulbs need to perform. Additionally, you can also download the Philips Hue app free-of-charge from App Store or Google Play in order to get everything up and running. Once the Bridge is connected to the internet and the bulbs are all set up and the app is functional, an almost endless world of limitless possibilities is opened up in terms of the different color combinations which can be created and the different levels of control that you can achieve with the hardware. As an example, you can simply opt for on/off control to prevent you from having to use the normal light switch and to be able to turn lights on and off remotely from anywhere in the world. Or, if you want some additional control and versatility then you could set up timers or various scenes, so, as an example, you could have a scene called “movie time” which dims the bulbs to 10% and changes the color to a warm hue that compliments a movie. The hardware is also compatible with all major voice platforms, such as Assistant and Alexa, and also includes Apple’s HomeKit. 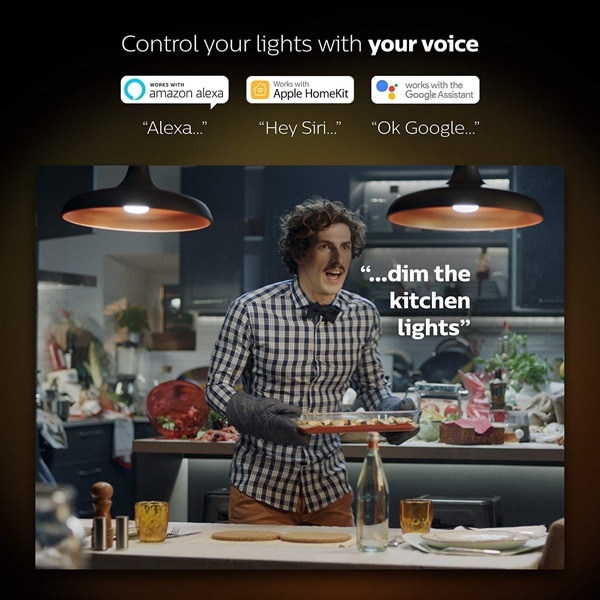 This means that you can control the bulbs with voice commands or even have the bulbs pulled directly into the Apple Home app and assigned to a specific room. It also means that you can create scenes that tie-in with other Apple HomeKit-compatible hardware that you may have or are planning on getting. This hardware is powerful extremely versatile and can be yours right now for just $99.99 if you act quickly and make the purchase.